As a global technology company, MasterCard believes in a world beyond cash. But we also understand that the world beyond cash is also a world beyond plastic, writes Matt Barr. As a global technology company, MasterCard believes in a world beyond cash. But we also understand that the world beyond cash is also a world beyond plastic. Mobile technology is a key driver in realising this vision. Digital wallets are set to transform the way people access financial information, pay, save and communicate. Digital payment systems also enable profoundly new shopping experiences. They enable millions of consumers to lead a more connected life – a life where the digital and physical worlds converge. The definition of a digital wallet continues to evolve as innovations come to market, and the term is sometimes used synonymously with “mobile payment”. But there is much more to digital wallets than just mobile. Digital wallets provide an integrated electronic consumer payment service that can be used to make transactions securely in both the physical and virtual worlds. It also provides other transaction‐related services, such as couponing, loyalty, membership, offers, rewards, receipts, tickets, and entry. 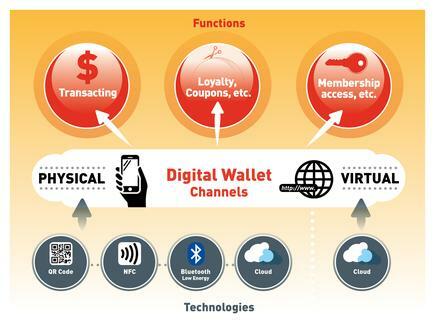 A digital wallet can be accessed by different channels (whether it’s online, mobile, or a physical point of sale), technologies (via bar code, NFC, cloud, or SMS), and devices (through a smartphone, feature phone, tablet, or desktop computer) depending on the solution. In the past 12 months, contactless payments have hit the New Zealand public consciousness in a major way. Unlike any other time in recent history, there is an intense interest in payments transformation, driven in large part by consumers and retailers. In a collaboration that is globally unique, New Zealand banks and telecommunications providers are working together to provide a common mobile wallet platform through TSM NZ, which is going to be the trusted service provider (TSM) that will help drive adoption of mobile NFC payments technology. The digital infrastructure created will allow New Zealanders to make secure payments, collect loyalty points and load credit for use on public transport with their mobile phones. By working together, the infrastructure will also leap-frog New Zealand ahead of many other markets worldwide, by enabling consumers to easily access our digital wallet technology. Rather than having multiple cards held within a traditional wallet, Kiwis will now be able to have all this information through a virtual wallet stored within their mobile phones allowing them not only to make NFC payments, but to access loyalty programmes, coupons and transport tickets through a single touch point. Already, the availability of NFC or contactless enabled payment terminals is becoming widespread and New Zealanders are fast embracing the technology. Consumers are swapping out cash and cards for their choice of NFC enabled devices and other cloud-based wallets, and this is a trend that’s set to continue. These services leverage in-store technology and will be further upgraded over time to deliver on the promise and increasing demand for omni-channel retailing experiences. Next week’s article will take a closer look at cloud-based wallet technologies and how the next-generation payment platforms are providing even more seamless payment solutions.